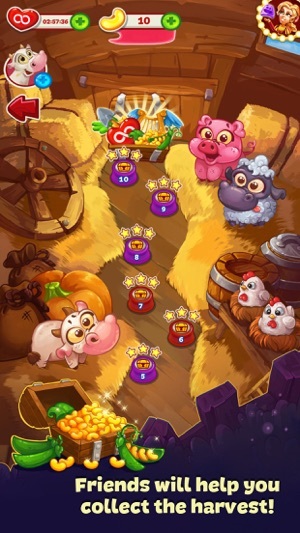 Become the best farmer in this fun match-3 game based on your favorite fairy tales! Go on an exciting adventure, traveling the world of the beloved fairy-tale characters. 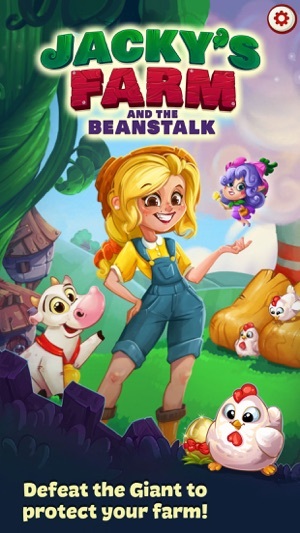 Defeat the evil Giant who robbed Jacky's farm. 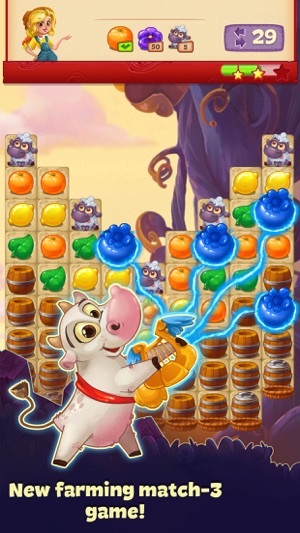 Go after him on the beanstalk and help to return the stolen items and teach the scoundrel a lesson. Grow crops on the farm to get daily rewards. You can play alone, or with friends to share a victory and overcome challenges in the game together. Picturesque places, colorful graphics, stunning effects and a fascinating game genre will keep you at the edge of your seat during the game. 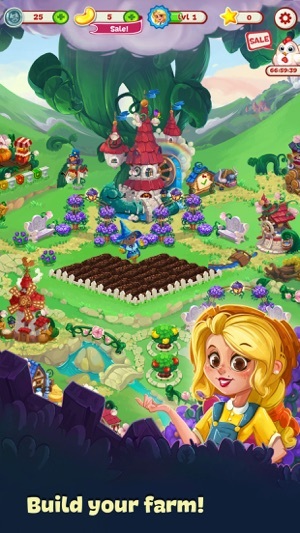 The world of farming and fairy tales is waiting for you! 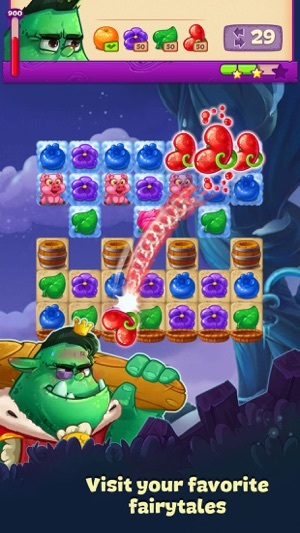 - Play new fun and challenging levels! - Enjoy improved gameplay with various minor bug fixes and improvements! This game is more of a challenge than most match 3 games, but I really like it. It's also quite different from others. I've only been playing it a couple of days, so I can't go into more detail, but I'll try to come back later with more. I understand why the producers of the games want reviews right away, but I think they'd be better off, in the long run, to let people play longer before reviewing. Then the reviews would be more explicit and therefore appeal to more people who could recognize facets of the game that they would also appreciate. Still liking it. I deleted once, or lost somehow and recently got it back. It was about a year in between and I've played a lot of other games and this one is a lo more fun than many. Level 368 is ridiculous to beat. I have been playing for quite a while and enjoying this game. One big complaint, for example, I am at level 295, trying to defeat the giant. You gave to get certain items to defeat the giant. At times when you get these items, they do not go the giant, they just tap on a random object on the board. I have been at this level for days (and yes it is a hard level) I can’t even come close to the goal for this level. Now I play once or twice, then leave. Losing the fun of the game. This is a challenge, a fun challenge though. Some of the levels are not that easy, but that is what’s makes it fun. If you are just thinking about getting this game, don’t think any longer.